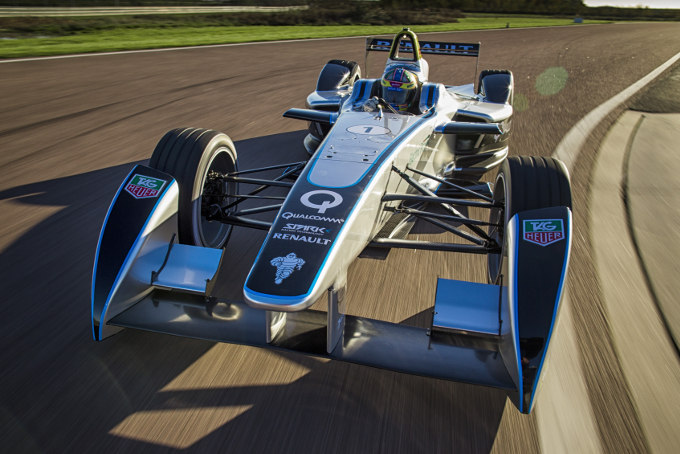 Formula E’s fully-electric Spark-Renault SRT_01E car has now completed 1,000km of testing without a single glitch – the equivalent of an entire season’s worth of racing. Built by Spark Racing Technology together with a consortium of some of the leading names in motorsport, the 200kw (270bhp) single-seater has undergone an arduous testing programme since its unveiling in September 2013 at the Frankfurt Motor Show. The majority of the running has taken place at La Ferté-Gaucher circuit outside Paris together with sessions at Circuit du Luc in south east France, using the full 200kw battery as opposed to the quarter power one used previously. Along with Spark Racing Technology, McLaren, Renault, Williams, Dallara and Michelin have all collaborated on the revolutionary racer which boasts a top speed of 225kph (150mph) and can accelerate from 0-100kph (0-62mph) in just over three seconds.